This tank has crossed its 1 year mark and still chugging along. I got really lazy after the last tank update and started to neglect plant trimming, which resulted in the fast growing background stem plants constantly looking wild and unruly. It became a real chore to keep up with pruning and maintenance every week... so 2 months ago, i pulled out all the stem plants and replace them with a few bunches of Cyperus Helferi. 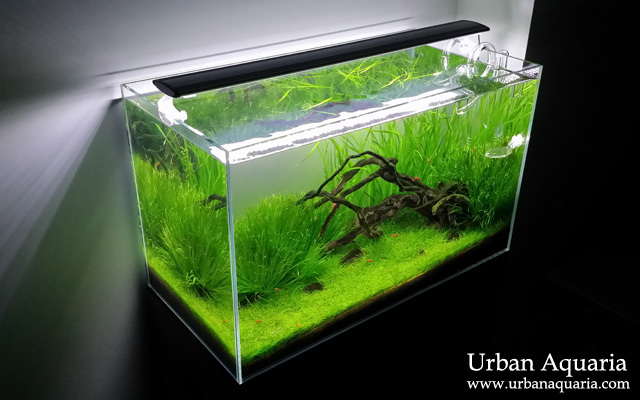 I'm curious if you have taken PAR measurement at substrate level for this tank - can you share any information? I don't have a PAR meter so haven't been able to do any measurements... though i've used the same lights to successfully grow various types of carpet plants (ie. 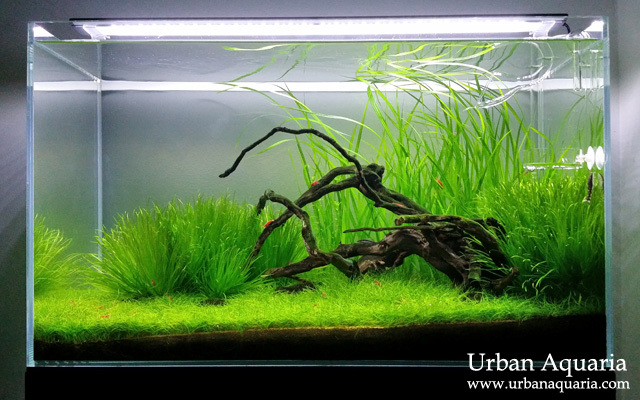 HC, glosso, hairgrass etc), so i guess it works well for my particular tank setups. Have you added fertilizers to your tank it seems healthy without algae. Im amaze on how you maintain your tank. Yes, i do dose fertilizers on a daily basis right from the start. I dose Tropical Premium fertilizer daily (contains potassium and trace/micro nutrients, but no nitrogen or phosphate) for the first few months after startup... then as the plant density increase and the aquasoil nutrients get depleted, i switch over to dosing Tropica Specialized fertilizer daily (contains all nutrients including nitrogen and phosphate). I guess the main reasons why my tank encounters very little algae is because i maintain a minimal bio-load, i don't use excessive light, and my Co2 injection and fertilizer dosing is balanced according to the plant growth and density, hence algae doesn't get a chance to gain any foothold.